Fishing Drink Ware from the Classic Design to our Original designs that you will just have to have. We offer a wide range of not only styles but also designs, if you don't see exactly what you are looking for contact us and we will make it up for you. 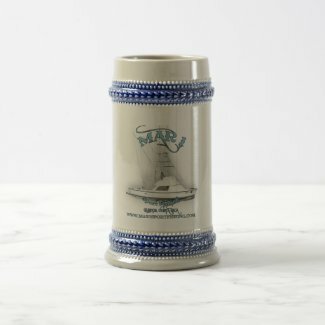 Mar 1 Sport fishing Drink up with your custom designed stein. Perfect for the mantle or just for celebrating. Steins always make great gifts for memorable events. 22 oz. Available in 2 colors. Dishwasher safe. Imported.